Arsenal Australia is pleased to invite you and your family to the Arsenal Australia National Meet which takes place in Adelaide at the end of April. Fri 26 April – 7 pm Meet and Greet at Arkaba Hotel. 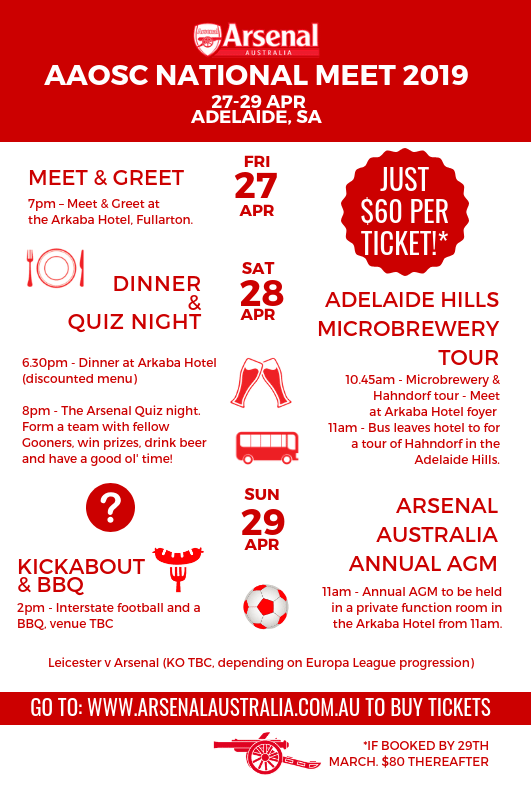 Sun 28 April – 11 am – Arsenal Australia AGM at Arkaba Hotel. We will know nearer the time what time Arsenal will be playing and on what day. It all depends on qualification to the Europa League Semi-Final.